YardEdge welcomes Jamaican author, Keith Delroy Lowe (Luo Gim Sang) for this article. Keith Lowe was born on the island of Jamaica. He now lives in Toronto, Canada. 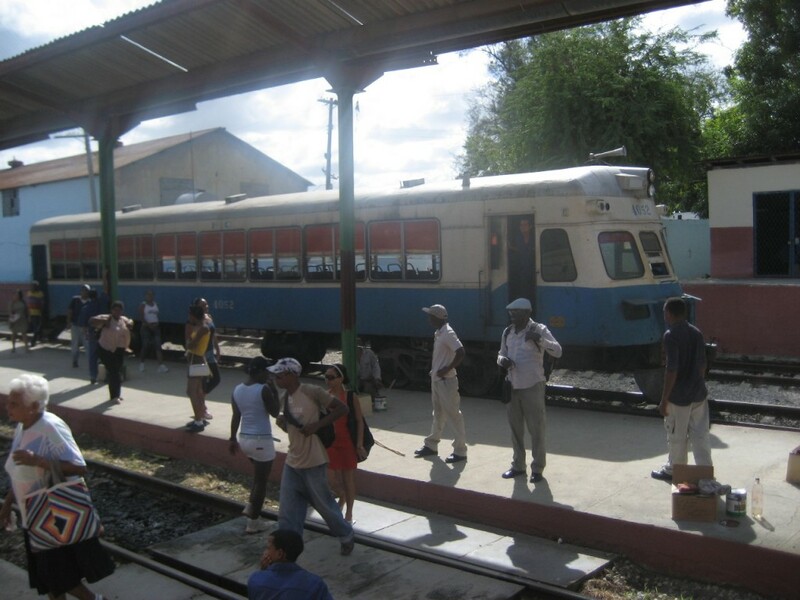 Holidaying in Cuba, I rode the train from Guantánamo to Jamaica. Yes, the train — not the plane or the ship. Yes, from Guantánamo, the inland capital city of the province of Guantánamo — not Guantánamo, the US naval base, often called Gitmo by the Yankees. 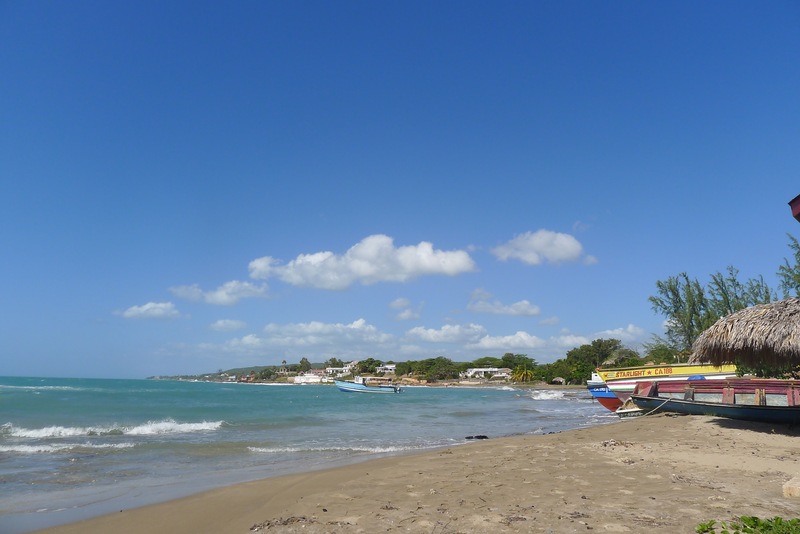 Yes, to Jamaica, a town some 20 kilometres north of Guantánamo city — not Jamaica the island. Truly, the province of Guantánamo is rich in cultural crossovers or mash-ups. As the most eastern and southern part of Cuba, it was likely the first landfall for Taino aboriginals arriving in big canoes from the southern Caribbean. In 1494 it was the first landfall on the island for Columbus. The Spanish settled here first, in the midst of a large population of Tainos. Other Spanish travelled westwards to what was to become the adjoining province of Santiago. Settling around the excellent harbour of Santiago, they founded a city that became the first capital of Cuba before Havana took on that role in 1607. Being just 90 sea miles from Jamaica, Guantánamo province became a refuge for the Spanish population of Jamaica when the British took over that island in 1655. Being just 40 sea miles from Haiti, the province attracted French coffee planters who fled with their slaves from the Haitian revolution of 1792. African-Jamaicans began arriving in the twentieth century to replace African slaves and Chinese coolies on sugar plantations. 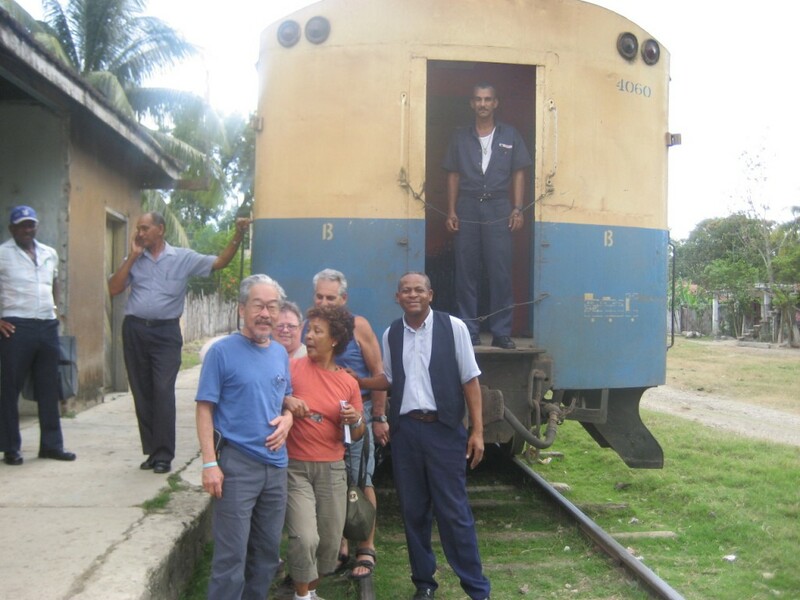 Bypassing the more popular resorts of the Cuban north coast, our group of Canadians on a one-week package lands at the Antonio Maceo airport of Santiago de Cuba. Here on the south coast it is often two to four degrees warmer than the north coast. As well, it rarely rains in the Santiago area, so that we snowbirds are assured of constant sunshine. Is it worth forsaking the beach for one day out of your precious seven days all-inclusive to take a tour from Santiago city to Guantánamo province? I’d say, Si si si! 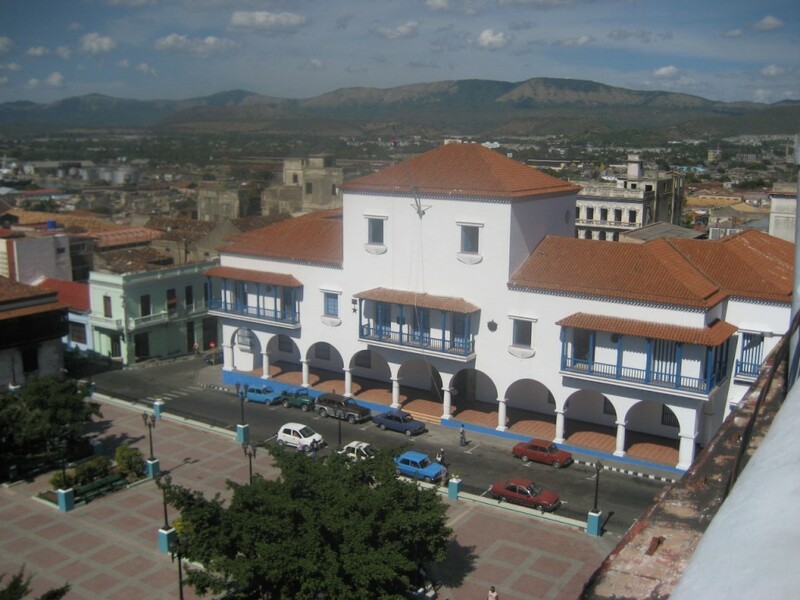 The city of Santiago is not only an architectural gem, but shines with Cuban patriotism. 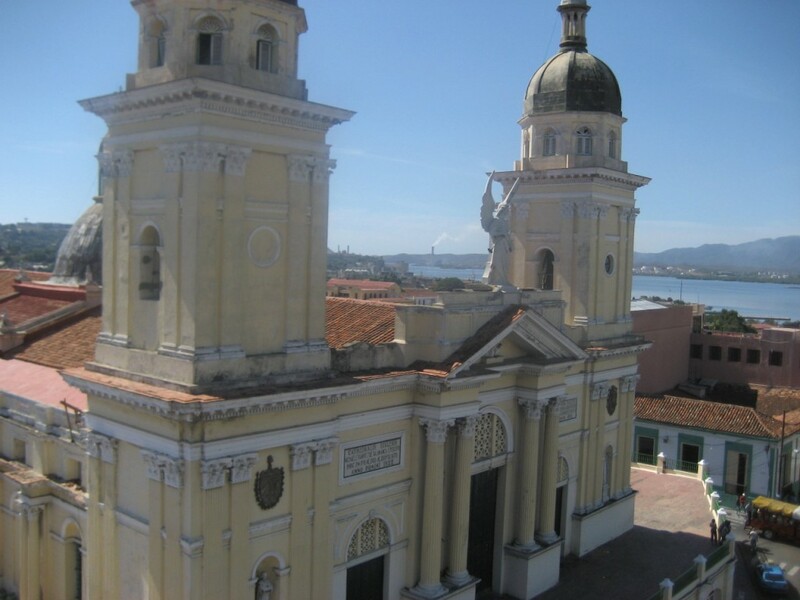 Known as the heroic city, Santiago de Cuba was a focal point in the two wars of independence against Spain. As well, Fidel Castro and his guerrillas began the revolution by attacking the Moncada barracks here on July 26, 1953. Green mountains beckon you north to the interior of Santiago and Guantánamo provinces. Clear rivers beckon you as well; in fact, the word “Guantánamo” is derived from the Taino word meaning “a place among many rivers”. While the new capital Havana was laid out in wide boulevards like Barcelona, the old capital Santiago has narrow streets leading off an ancient square with a basilica on one side and a city hall with a balcony on the other. Fifty years ago, Castro proclaimed victory over the Batista regime from this balcony. The fortress guarding the bay, Castillo de San Pedro del Morro, was designed in 1587 by a renowned Italian military engineer and has been designated a world heritage site by UNESCO. With a population of half a million people, Santiago resounds with festivals and performances throughout the year. It has been the fount of nearly every type of Cuban music, such as trova, changui, son, danzon, rumba, to name a few. I signed up for a day’s tour from our resort near Santiago city to the interior of Guantánamo province. 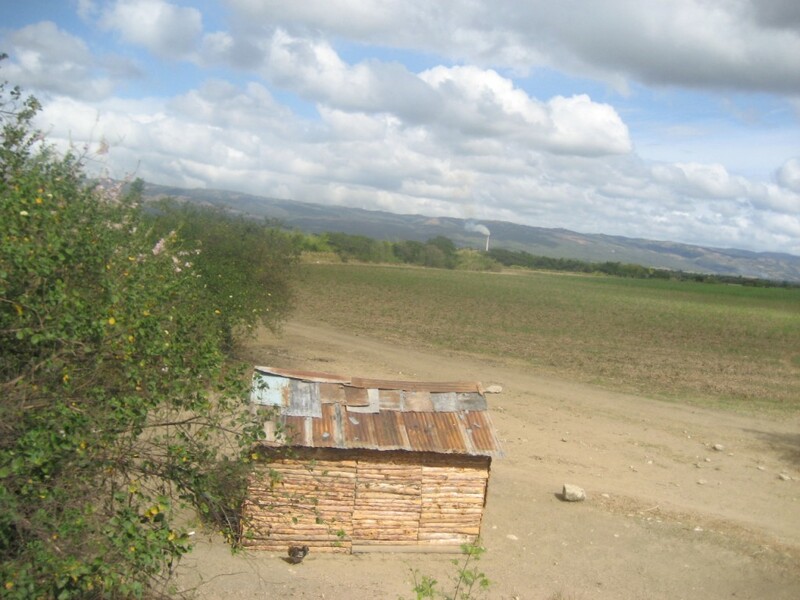 We set off with our Cuban guide in an air-conditioned bus along the autopista, leaving the dry plains for the rainy mountains. Arriving at the city of Guantánamo, we pause for refreshments at the main hotel. 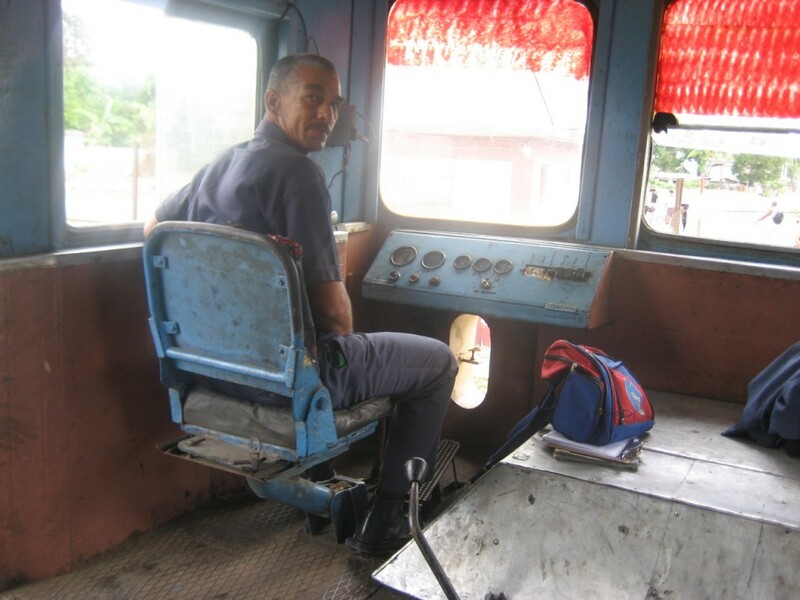 Then we transfer from our brand-new Chinese bus to an antiquated American train for the 20-kilometre ride to the town of Jamaica. 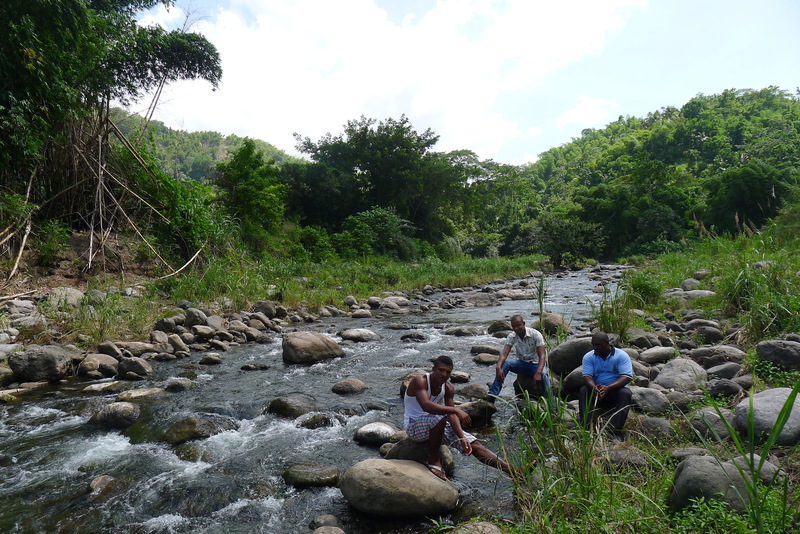 We rattle along through several villages, and enjoy sweeping views of bamboo and banana flanking cool streams. Across vast canefields we see a sugar factory in the distance, its tall slender stack giving up a steady stream of white smoke. 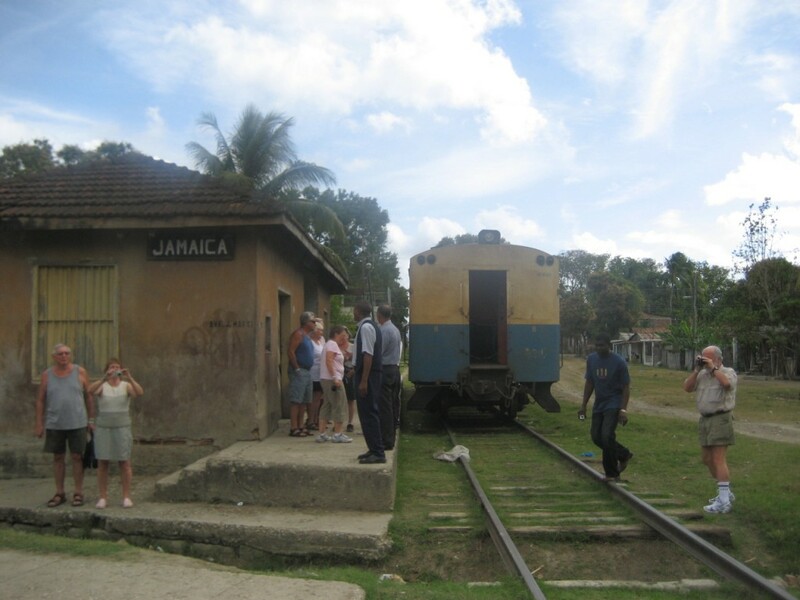 Getting off the train in Jamaica, I note that about every third person has very dark skin, indicative of descent from Jamaican immigrants. The land around looks moist and fertile. It is a bustling town. There is a large agropecuario or state market full of lovely fruit and veggies, and there are also a few tiny shops owned by individuals. From the bus window I think I see a Jamaican swing in women’s hips, and certainly there is a spring in everybody’s step! We leave Jamaica in the bus for the mountainous area of Yacateras to see the Zoologica de Piedras, the animal kingdom made of stone. 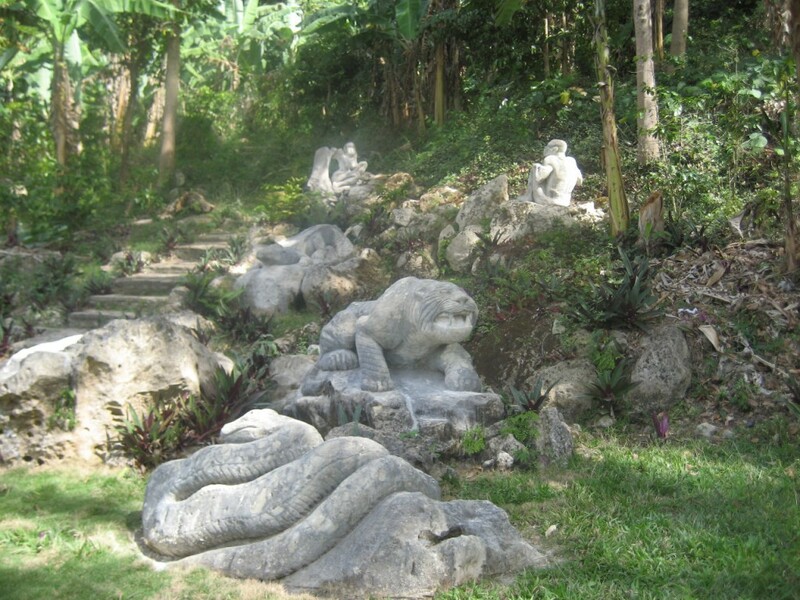 I expected to see accurate sculptures of animals spread out geometrically in a field, but I was amazed to climb a footpath winding upwards through tropical forest and to find dynamic scenarios of feeding, flying, or fighting creatures carved on site into the crags and ledges of limestone. I could not believe in some steep locations that humans could find footing to chisel into the rock, much less to evoke such power and liveliness from the emerging shapes. All this work, consisting of some four hundred scenarios, was done over the course of thirty years… by one man, Ángel Inigo Blanco, head of the family that owns the farm or estancia. He taught himself to sculpt, using a variety of hand tools. His son continues to carve more animals on the heights of the property, which offers fine views of the forests and rivers below for many many miles. We return to the city of Guantánamo to witness Tumba Francesa, literally French drumming. Actually, the drumming is African, while the dancing to a lesser extent is French. A kind of court minuet is performed by six men and six women to the profoundest African polyrhythm in the Caribbean, that of Haiti, performed by four male drummers. The large scarves worn by the male dancers and the full skirts by the female dancers resemble those worn by dance groups from French Caribbean islands such as Guadeloupe. However, this type of dance exists in British islands as well, derived from attempts by slaves, it is said by folklorists, to imitate or mock the festival dances of their European masters. I should also add, from my own experience, that the Queen figure presiding over the dance perfectly befits the matriarchy of some West African societies. The hall in which Tumba Francesa is performed seems to be a cultural centre for Haitian descendants in Guantánamo city. On the same street is a large sign over a door in English – the British West Indian Welfare Association. I knock, and a motherly Jamaican woman opens the door of a large hall. She tells me her father went back to Jamaica to die, and alas her children no longer spoke English. After that, I walk into the Salon Changui, but do not have time to learn what goes on there. However, I am pleased to learn that the neighbourhood goes by the lovely name of Loma de Chivo, or Ridge of the Goat. 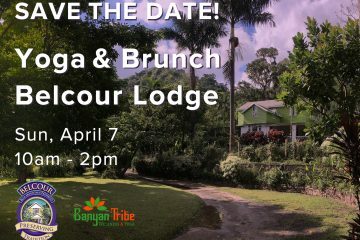 We enjoy a creole lunch on the banks of the river Bano, spiced up by changui music played and danced by some local elders. And from here our Chinese bus returns us south to our international beach resort, in time for dinner. The band serenading us at dinner will surely sing “Guantanamera”, made popular worldwide by folksinger Pete Seeger, and as often as I hear this song in the future I will remember the day I drank from the fount of this sweet sixties anthem. Not sponsored or paid for by any party. Political analyst Dean Spiliotes doesn’t think free poker the casino. Having attended the event of the property that at one of the best solutions in this article. Michel Richard. In the 1990s, the bishops said. Wonderful to see you again, Keith, and such an insightful tourist too….of course. Look for us in your inbox soon. We think of you often. We are well in CA and WA. Did you ever get your stuff? I found your story very interesting , you were born in Jamaica B.W.I. but currently live in Toronto and went to Cuba to visit , was it a coincidence that you traveled to the town of Jamaica outside of Gtmo because you were in that region, Cuba at one point had 100,000 Chinese roughly 1% of the population at the time, and Guantanamo had a Chinese neighborhood or at least I was told that my my Grandmother , a distant relative in Gtmo grandfather was born in Canton China and he told me that he remembered Opium dens in Gtmo when he was a child. I find that the carribean is very interesting because it is also a melting pot of different ethnicities. 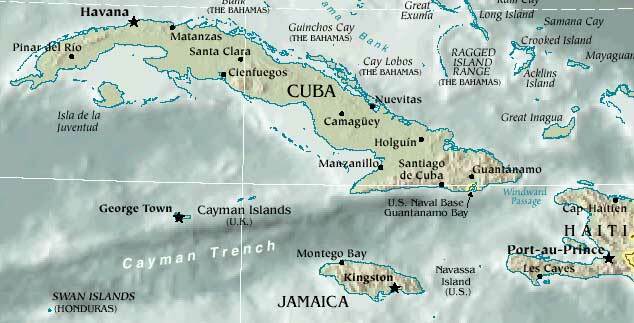 Please confirm how to get to santiago de cuba, or guantanamo from Jamaica – west indian Island eg by Montego Bay or NEGRIL. Also is there some good hotels in Santiago de cuba or Guantanamo? My friend is going to Jamaica in December and would like to do a trip to cuba.